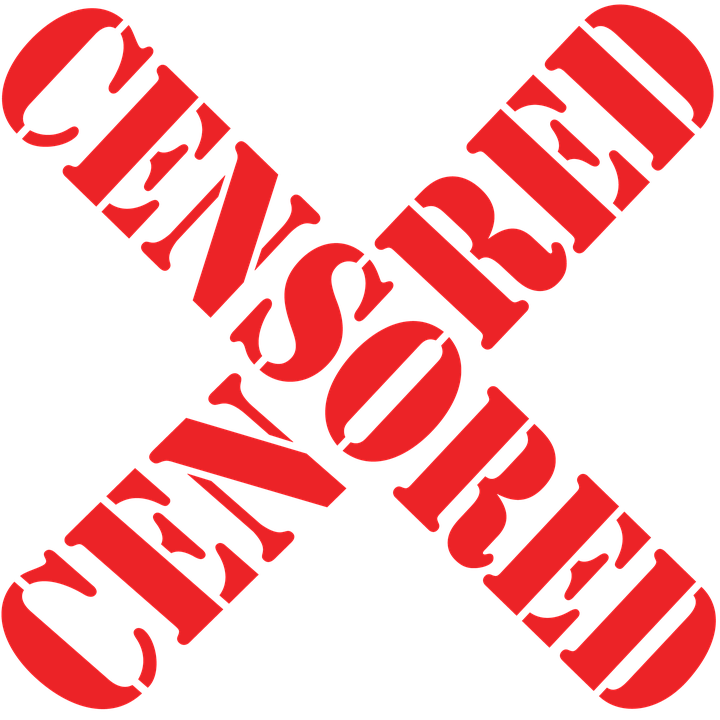 Have we ever practiced self-censorship? It means we don’t say what we’re really thinking because we’re afraid of offending people, getting into trouble or losing people’s friendship. One time, for example, I was at a dinner with someone and he said he was against gay marriage. I asked, “Why are you whispering?” He wasn’t being offensive or mean; he was just stating his opinion, which is his right, but he was still afraid. Do we ever hold back our opinions? I did search my feelings and found that he’s right: I do hold back. I fear that some people here can’t handle the whole truth, that some people who are coming to Christ may not come back and their spiritual journey will end. While my concern is legitimate, I’m not trusting enough in God and in your maturity. This is wrong. 1. God knows us before we’re alive because He exists outside of time. He has this great plan for us: to be loved and to love. 2. ‘Consecrated’ means to separate something or someone for God’s service, especially for worship (New Jerome Biblical Commentary, 270). However, Pope Emeritus Benedict says that separating things or people from everyday life is also done in order to serve and heal people. Consecrated people, that is, all of us, exist also for the good of other people (Jesus of Nazareth, Vol. 2, 86). 3. As we’ve said before, a prophet in the Bible isn’t someone who primarily predicts the future, but who reveals Who God is, shows us His Face, and the path to take. 4. And it’s not just to a small group of people, but “to the nations,” because Israel was called by God to be the elder brother to the nations who would lead them back to the Father (Scott Hahn, Catholic Bible Dictionary, 405). When we hear this, we realize this truth: God loved us so much that He had the idea of us before we were born. And we’ve been chosen to speak the truth, to say what no one else is saying. And to do so in love! 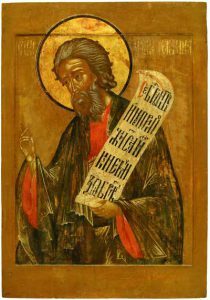 Of all the prophets, Jeremiah was the most sensitive to God’s Love for his people, and our love for Him (New Jerome Biblical Commentary, 266). So, we speak the truth, why? Because God wants to bring us home. Let’s apply this to our situation. The verse, “Before I formed you in the womb I knew you” has been used by the Church for thousands of years to support the truth that human life starts in the womb, at conception. 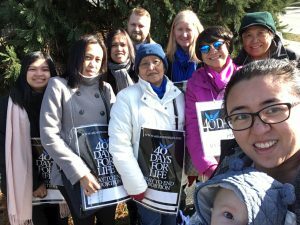 And because, in a month, we’re going to do four days of pro-life witness outside B.C. Women’s Hospital, we need to talk about abortion. 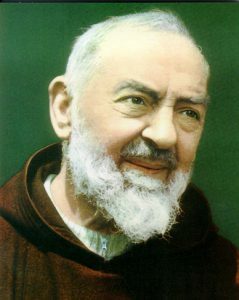 I heard a story about Padre Pio, the famous Italian priest, now a saint, who could read the souls of people in Confession, including knowing when they were lying in Confession. One time a woman came to him in the confessional and talked about a dream she was having where she would see a man on a hill dressed in white. She asked him what the meaning was of the dream, and he said, “It’s your son, whom you aborted. He was going to be the pope.” The point is that this baby had a future, was going to be someone; God had a plan for him. When we talk about abortion or any difficult topic, Jesus tells us today to speak the truth in love. So, be assured of my love. 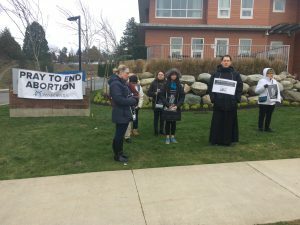 We speak the truth so as to stop the murder of 41 million babies every year worldwide, so that people who have had abortions may turn to God for forgiveness and healing, because, whether we admit it or not, people suffer from abortion; and to stop anyone else among us from choosing abortion. This doesn’t mean being rude or offensive. It means showing respect for people while not holding back. As the famous Ben Shapiro says, “Facts over feelings.” If I as a preacher hold back, that’s an insult to you, because it means I don’t believe you’re able to deal with whatever I need to say. The foundational argument in the abortion debate is that truth is the basis of choice. Choice is important, but what kind of choice are we discussing? When we go to the store, we can choose what food we want to buy, but we can’t choose to steal it—one choice is about our preferences and one is about right and wrong. The choice to steal is frowned upon by society and even made illegal. Whenever some meat is contaminated, for instance, the government will take it off the shelves because it can kill us or unborn children. They take away our choice because it’s a lethal choice. If a woman were to buy contaminated meat intentionally and feed it to her children, the government would arrest her for child abuse. Same with abortion. The question isn’t, “Is it a choice?” but, “What kind of choice is it?” People in favour of abortion often sidestep that question saying that there’s no consensus on whether the fetus is a person or not: Pro-life mothers think it’s a person so they can treat it as a person whereas pro-choice mothers disagree so they don’t have to treat it as a person. Using that logic, pro-choice people would have to admit that, since there’s no consensus on the value of women worldwide, we should let each individual society determine which rights women have—that doesn’t make sense. Pro-life people aren’t making preference claims, but factual claims about the humanity of the unborn. If, for example, I offer you an apple or an orange, it wouldn’t matter what choice you make because it’s a preference claim. But if one of the fruits were poisoned, it would matter which you chose because it’s no longer about preferences but about facts: which fruit nourishes and which kills. So, when we argue that fetuses are persons, we’re not making a preference claim, but a factual claim, and people who disagree have to provide better facts about why they think an unborn baby isn’t a person. And ignorance isn’t a sufficient response. If we were about to demolish a building and someone said that they don’t know if anyone’s inside, would it be okay to start the demolition? No, because we would need to be sure that no one’s inside. In the same way, our society can’t do abortions until it knows for sure that fetuses aren’t persons. What’s the truth? When does life begin? 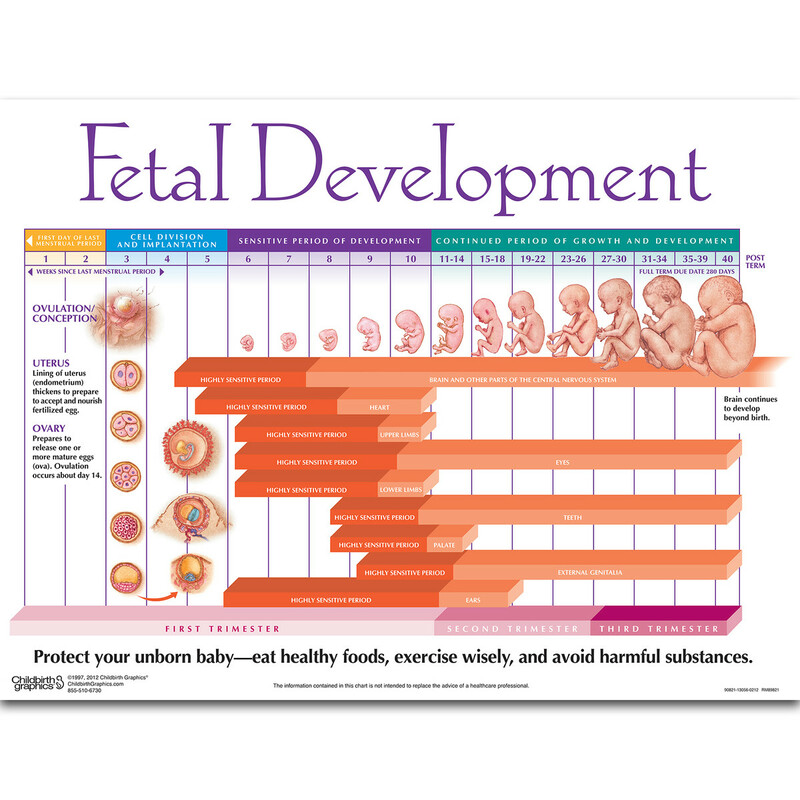 Biology says that life begins at conception. Why? Because what do humans procreate? Humans. That’s why, on the news, whenever a pregnant woman loses a child, everyone’s sad. And, if human life doesn’t begin at conception, is it when the brain forms, at eight weeks? When the heart forms, at nine? The eyes, at ten? Babies feel pain by 20 weeks or earlier. And when does Canada allow abortions? The whole way through a pregnancy. That’s murder. There are three other countries that have no restrictions on abortion: North Korea, China, and Vietnam. 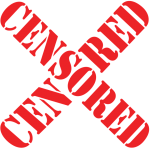 God doesn’t want us to censor ourselves, because we were called from before we were born to be prophets. Our calling is to be as Jesus, Who always spoke the truth in love. And now we’re going to have the testimony of one of our sisters who had an abortion. Like Jeremiah, she will speak out against sin and proclaim God’s Mercy. What could be worse than a daughter- fresh out of college, single, coming home pregnant? I was all of the above, my parents’ favourite daughter, but ironically, their greatest disappointment. 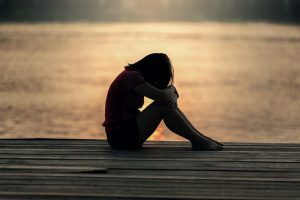 Where was God when I felt alone and miserable? Where was God when I thought that taking away my child inside of me was the best option? He was there, but I looked the other way. I thought I had faith, I didn’t, and a big part of me died. 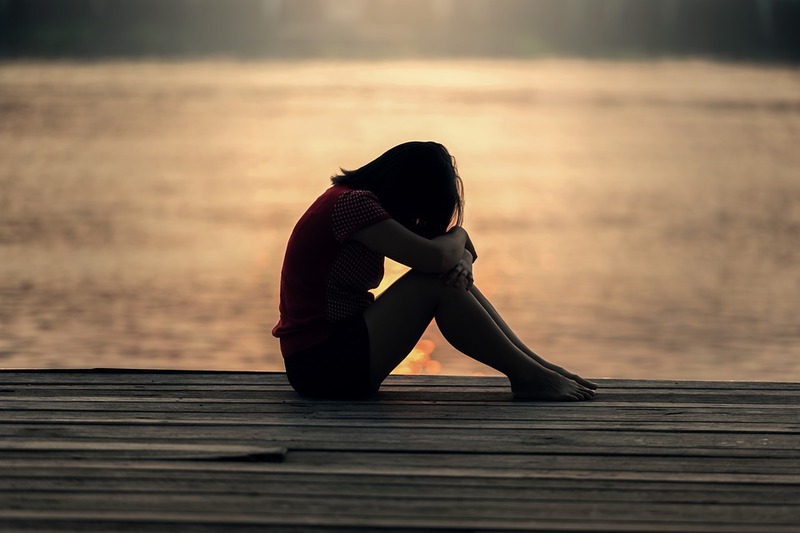 Abortion may have brought me back to my family and the comforts of home, but it did not give me peace. The physical pain caused by abortion is nothing compared to the mental anguish knowing that you’ve taken away one of God’s human creations. Thirty years of living in tremendous remorse and in a state of mortal sin finally caught up with me. God sent help to fill the empty space in my heart. Fr. Justin’s homilies in part led me to Confession, but ultimately, it was the grace and the will to choose what is right and what my conscience is telling me to do that finally liberated me from spiritual death. Was it easy? It’s never easy to quantify sins and say them out loud to a priest. It was painful having to relive the past and realize how you’ve hurt God in so many ways, but that good Confession made me realize how merciful God is and brought peace in my heart. It was too late when I realized the irreversible damage that I had done to my baby, but it will never be too late to trust in God again, because through the Sacrament of Reconciliation, He makes all things new. In spite of my brokenness, He blessed me with something I’ve always yearned for – my family. 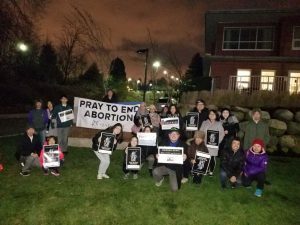 It was difficult to tell my children about my abortion, but spending hours in Eucharistic Adoration gave me the courage to speak the truth to them about my past. I wanted them to know that serious mortal sins like abortion are realities in life that they may be tempted to choose. Speaking the truth to them has made us closer. I thank my husband for being patient and understanding, and my children for their love and acceptance. I may never be their perfect mom and wife, but I can still be the perfect daughter whom God has created in His image and likeness, if I put my faith and trust in Him completely. Participating in 40 Days for Life gave me the courage to stand in front of all of you tonight to tell you my story, not to embarrass myself and my family, but to let you know that abortion is not the solution, that there are other options. To say, therefore, that God is patient would be an understatement. He, after all, waited for some 30 years for his prodigal daughter to find her way back home. So whatever grave mortal sins you have committed, take those agonizing steps to Confession, because it’s guaranteed to give you a happy ending. Nothing compares to what having a relationship with God can give. Four years ago, as I watched Father Justin come out of the confessional on his first weekend here in Marpole, it wasn’t him that I saw but God’s Mercy. His first weekend homily challenged me to “Give God Permission” to take control of my life. I did, and that has made all the difference. Do we realize what’s just happened here? God’s Truth and Love have shone down upon our parish family. Every sin, no matter how dark, can be forgiven. This woman’s courage is inspiring. She’s acting as a prophet. In your pews are sign-up cards for 40 Days for Life. We’re offering you a way to pray and stand up for unborn babies. We’re starting the day after Ash Wednesday, for four days, Mar. 7-10, 2019, 7:00 a.m. to 7:00 p.m. If you fill the cards out, please put them in the collection basket. After Mass, on your way out, perhaps you could thank her for her honesty and bravery. Think about what you’d say. Give her a hug. You could ask her questions, seek her advice, or just talk. God has strengthened and offered us healing through this testimony. Like all of us, she’s come from a dark place and into the light. She’s one of our parish leaders, giving us truth and love.